Fish Lake is a beautiful lake located in the high mountains of Central Utah. It is the largest natural mountain lake in Utah. Fish lake is full of an excess of stunted Yellow Perch. Please catch as many as you can and keep them - they're delicious! 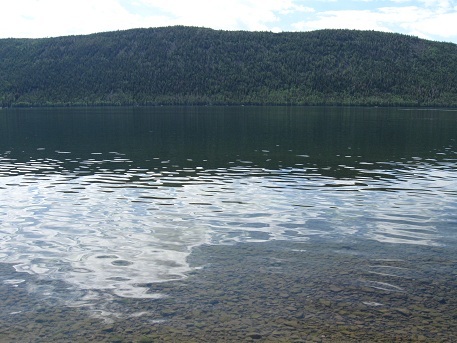 Fish Lake is most popular for fishing for the large Lake Trout that make their home here. Fish deep for the Lake Trout. You can troll or vertical jig. Splake can also be caught this way. If it's Perch you're after, fish shallow in the weeds or right along the weedline. Perch will take just about any small jig, spinner, or fly. Sometimes the best bait is just a small tube jig tipped with a piece of nightcrawler. Once you've caught one Perch, use its meat to tip your jig.